As pediatricians, we champion the need to address social determinants of health, such as poverty and food insecurity, in an effort to achieve health equity. We emphasize screening for toxic stress. In our conversations about equity, we include data about racial and ethnic disparities. 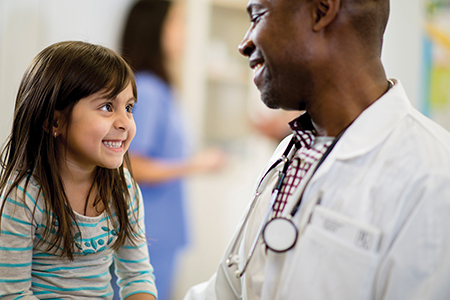 Because of our commitment to work for the health and well-being of all children, pediatricians are uniquely positioned to consider and address the needs and concerns of the at-risk communities for whom we care. Whether they cope with financial insecurity and deprivation, racism, religious discrimination, or language barriers and immigration status, our attention and support makes a difference for our patient families. As members of the AAP Public Health Special Interest Group (SIG) and the Immigrant Health SIG, we realize that racism and intolerance continue to obstruct health equity for children of color.